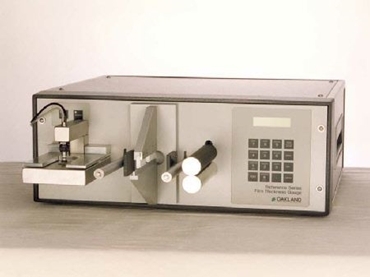 The CX-1020 revolutionized capacitance film thickness gauging with the introduction of our patented AutoCalTM concept - by adding an absolute (contact) measurement probe with the capacitance sensor, the CX-1020 is self-calibrating. No more need to create detailed recipes to recall calibration information. Accidental operator errors are reduced, accuracy is increased, because different polymers and blends require different calibration values.